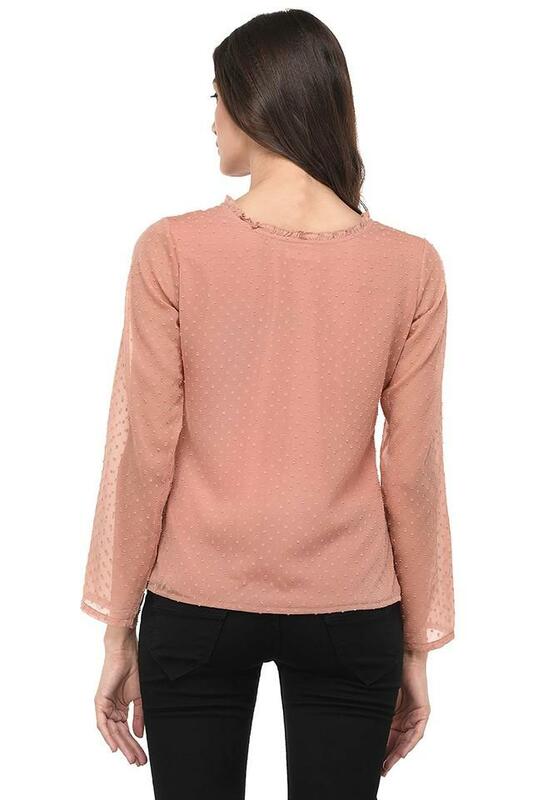 Add a touch of bohemian chic to your collection with this top from Purys. Made from polyester fabric, this top is lightweight. Featuring a ruffled neck, three quarter sleeves and embroidered pattern, this top possesses a stunning chic. Liven up your wardrobe with this top. Team this top with a pair of casual pants and sandals for a chic ensemble.